On March 19, 2012, a French jihadi on a shooting spree targeted a Jewish school in Toulouse, murdering three children and a rabbi. A few days later, a Jewish cemetery in Nice was defaced. Both events were on the mind of comic book creator Joann Sfar as he resumed work on the final book of Klezmer, a five-volume fantasy on Jewish life in turn of the century Eastern Europe. Published last year by Gallimard, the last installment imagines a group of musicians on their way to Kishinev in the immediate aftermath of the infamous pogroms that took place there in 1903. Versions of Vladimir Ze’ev Jabotinsky and Chaim Nachman Bialik make their appearance in the book. In the Afterword Sfar explains that his Kishinev is a symbol for the fundamental dilemma of Jews in Europe not only in 1903 but throughout the 20th century and today in the 21st: namely, how to respond to the anti-Semitism that threatens both the physical existence of Jews and their dream of participation in a cosmopolitan European society. Sfar is neither the first nor the only significant Jewish contributor to French comics. Jews who have left their mark on what the French call “bandes dessinées” and regard as a serious art form include, for instance, René Goscinny, the co-creator of the iconic French comic book Asterix, and Marcel Gotlib, whose satirical creations helped propel French comics into adult territory in the 1960s and 1970s. That satirical territory was most famously occupied by the comic periodical Charlie Hebdo to which Sfar, along with other Jewish writers and artists (including Elsa Cayat and Georges Wolinski, who were murdered in the recent Islamist attack on the magazine’s editorial offices) also contributed. Yet, as the historian of bandes dessinées Thierry Groensteen observes in Entretiens avec Joann Sfar, an informative book-length interview with Sfar published in 2013, Sfar is the first French comic book artist whose reputation rests on works that explore Jewish themes and characters directly. Sfar is best known for The Rabbi’s Cat (English translation in two volumes, 2005 and 2008) about a talking cat and its Jewish owners in North Africa between the world wars. 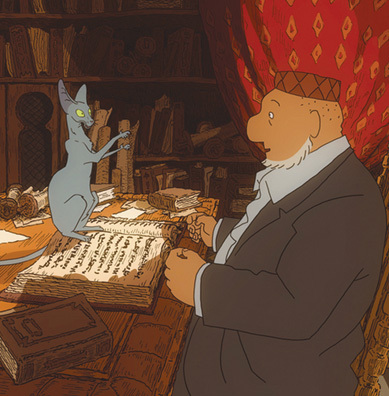 First published a little over a decade ago, the series became a best-seller in France and has since been translated into several languages, including English, and adapted as an animated feature film. 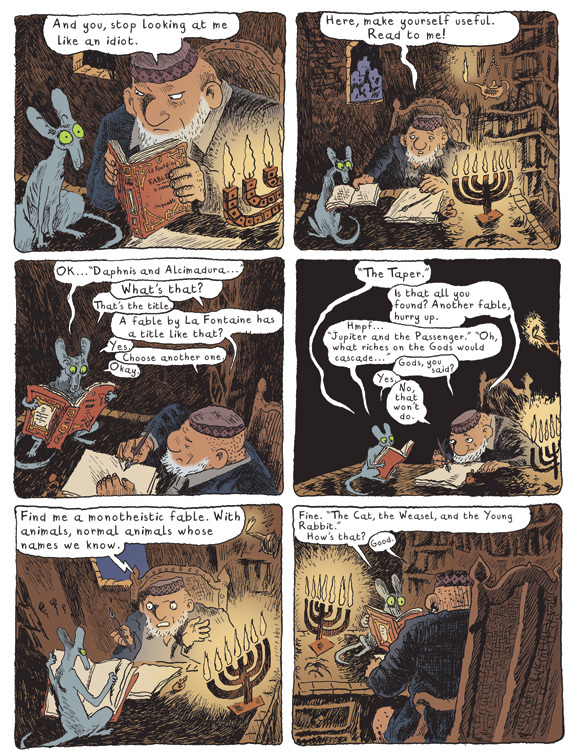 Sfar has also treated Jewish themes at length in other graphic novels including the three-volume Les Olives noires (2001–2003, story by Sfar, art by Emmanuel Guibert), the two-volume Chagall en Russie (2010–2011), and Klezmer (2005–2014, Volume One translated in 2006). Jewish characters and references feature prominently in other of his works as well, such as his series Pascin about the French painter Jules Pascin (who was Jewish and whom Sfar has roaming the bordellos of Paris with fellow painters Chaim Soutine and Marc Chagall) and his popular children’s book, Little Vampire, whose Jewish protagonist Michael befriends the undead. In 2010, moreover, Sfar directed an acclaimed film based on the life of the superstar French musician Serge Gainsbourg, who was also Jewish. He went on to study art and drawing at the École Nationale Supérieure des Beaux-Arts, while continuing a longstanding interest in philosophy. (He has published illustrated versions of Plato’s Symposium and Voltaire’s Candide, and an early ambition of his was to render the classics of Western thought in comic form.) 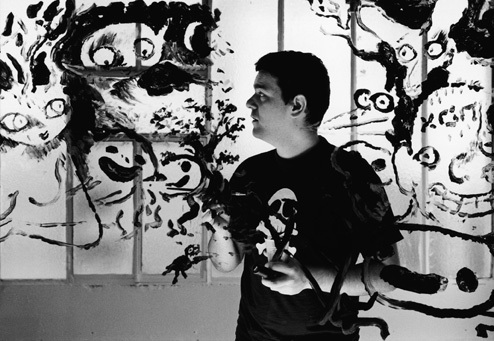 His comics began to appear in the 1990s, and he was involved early on with L’Association, the publishing collective that brought out such works as Marjane Satrapi’s celebrated Persepolis and Sfar’s own series about the Jewish modernist painter Julius Mordecai Pincas, known as Pascin. His first major success was Donjon, an ongoing series of dozens of whimsical, interconnected fantasy adventures, which Sfar created with Lewis Trondheim. More successes followed, as well as collaborations with a number of different artists and writers. Apart from his recognizable almond-eyed women, Sfar is not known for a distinct drawing style, borrowing instead from a wide range of influences including Jules Feiffer, Quentin Blake, illustrator of many of Roald Dahl’s books, and Marvel Comics’ artist Jack Kirby. His main talent in any case is not as an illustrator but as a storyteller. Sfar is a font of narrative creativity, a Scheherazade with pen and brush. And he is at his best when chronicling the vagaries of love and jealousy, as in his sad yet delightful Vampire Loves, in which the romantically inept vampire Ferdinand tries to find happiness after the collapse of his relationship with the fetching plant-girl Liana. Yet it is Jews and Judaism which most exercise Sfar and with which he struggles in his best-known works. And struggles is the word, since Sfar is nothing if not ambivalent about these subjects. Certainly, he makes no secret of his aversion to rabbinic orthodoxy. 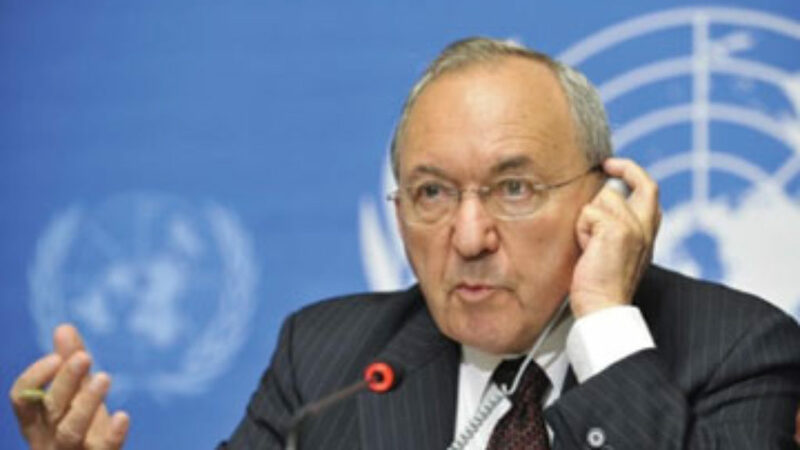 Jewish law is, as he puts it in the Groensteen interview, “absurd” and “Jesuitical,” and Judaism is often a “teaching of hyperbolic guilt.” The point is made repeatedly in his books, in which strictly observant Jews are portrayed as sanctimonious and foolish, while characters who free themselves from Jewish tradition tend to be sympathetic. In the first volume of Klezmer, the Talmud prodigy Yaacov is expelled from his yeshiva, freeing him to declare his disbelief in God, express his indifference to Jewish law and prayer, and take up with a band of lively musicians. Les Olives noires, set in Jerusalem during the Second Temple period, features the cowardly fanatic Josue, a Jewish nationalist who cares more about the strictures of kashrut (dietary laws are a bête noire of Sfar’s) and the exclusion of Gentiles than about protecting a child. Throughout Sfar’s books, ethics and compassion lie for the most part outside the structures of traditional Judaism. Artistic creativity certainly does: His artists and musicians and writers stand outside of, and often against, their traditional communities. Sfar prefers instead to draw his Jewish characters in fellowship with non-Jews. The rabbi in The Rabbi’s Cat, for instance, is best friends with a Sufi Muslim. (This makes it all the more ironic that no publisher has dared to publish the Arabic translation of the book.) In Klezmer, the quartet of musicians includes a philo-Semitic Roma guitarist based on Django Reinhardt, and they are assisted by a rather improbable Cossack killer with a heart of gold. Of course, the Jewish worlds of Sfar are always fantasies, set in the past but only loosely connected with history. They are at times informed by scholarly works—he has drawn upon the work of Jeffrey Veidlinger and Michel Gurfinkiel, among others—but are more often inspired by tales from his Polish and Algerian grandparents, whom he tends to romanticize. (For instance, he uncritically reports his irreligious grandfather’s claim to have “memorized the Talmud.”) It may reflect nothing more than his own preference for fantasy over reportage, but it does seem significant that none of Sfar’s narrative works about Jews is set during his own lifetime, either in France or in Israel. Nevertheless, while Sfar sees Zionism as an understandable Jewish response to anti-Semitism, the State of Israel holds no attraction for him. The Rabbi’s Cat, for instance, concludes with a story in which the characters search for a fabled Jewish homeland in the wilderness of Africa. Apart from the cat, the two characters who reach this mythical Jerusalem are Marc Chagall and the African woman he falls in love with along the way. They hope to find a place where they will be accepted—Jew and black, victims of anti-Semitism and European racism, respectively. However, the foreboding, Assyrian-esque city’s inhabitants—gigantic, blue-skinned, sword-and-magen-david-toting “Jews who have never left the land of their ancestors . . . Happy, balanced people who radiate self-confidence”—expel Chagall and his wife. She, after all, is not Jewish and they do not believe that he is either, since they have never seen a white-skinned Jew. The couple must make their way in the world, relying on their love for each other. It requires little interpretive effort to see this as Sfar’s portrayal of Israel, martial, oriental, and alien, and which he believes can offer no welcome to a cosmopolitan artist of European background, let alone one whose wife, like Sfar’s, is not Jewish. I love Israel, because it’s a beautiful country and I have family there, but give me a break! 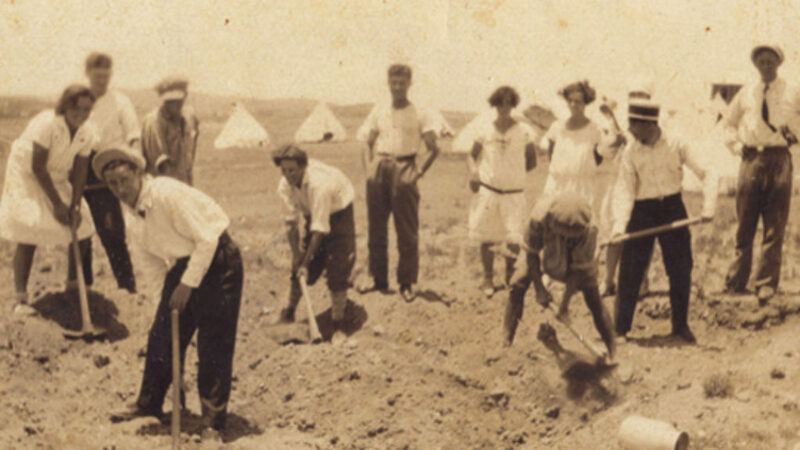 Israel is the opportunity to transform my fellow Jews into ordinary people: Jewish farmers with a fence around their field, with an army—regular people, in fact. From a quality of life standpoint that’s a good thing, but I don’t see what I have in common with them. They are far less Jewish than I am. So where does this leave Sfar as violence continues to escalate against the Jews of Europe? How does he draw the Jews of France after the massacre of his colleagues at Charlie Hebdo and, most recently, his fellow French Jews at a kosher grocery? [M]y characters go neither to Auschwitz nor to Jerusalem. They are not exterminated, because I cannot draw the massacre. They are not in Israel, because that is not my story . . . My country is France. The territory where I feel legitimate is Europe. And klezmer. And all my books testify to this alone: the Jews who had the courage to remain in Europe made a noble and worthy choice. I write to justify the Jews of Europe. They were right. And many died for it. 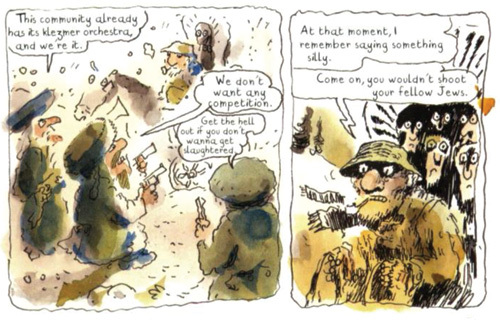 And so, at the end of the final volume of Klezmer, Sfar leaves off just before his characters reach Kishinev, before the moment in which they must choose. Their train approaches the city, but it never arrives. Sfar's remark about being more Jewish than Israelis seems quite of to me. I have never found the majority fo Israelis to have lost any of the diasporic Jewish culture (Were there no Jewish farmer sin the Diaspora? Really? And how many Jewish Israeli farmers are there now? But, that aside, I wonder if ts'fat might not be the city for him. It has that mysterious Jewish quality and both religious and secular mix. Eastern and Western. Try it Mr. SWfar next time you're visiting your non-Jewish relatives in israel. What's the trouble with the international laws of war? Ari Shavit, the Israeli prophet-journalist, offers both rebuke of the past and warnings for the future, but unlike prophets of old, he has no solutions for the way forward.